Moving into a new office space that has a stuffy, traditional design? 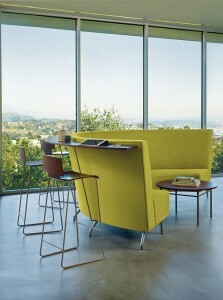 Or maybe you’re dissatisfied with your current office design and looking for something more open and inviting? 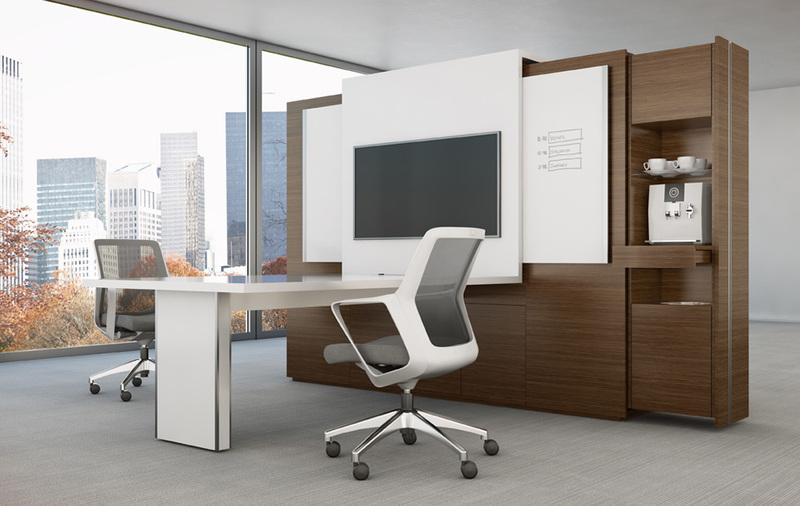 Whether you need minor updates or a complete overhaul, a modern office layout can be the perfect cure for the old, square-shaped, traditional office space. The problem with the traditional layout is the thinking that inspired it. Instead of promoting employee productivity, the layout cordoned off individual workspaces. These types of workspaces close employees off from one another and inhibit collaboration—not exactly ideal for the modern, team-centered work environment. Modern office layouts are centered on the idea that opening spaces up maximizes the collaborative environment and creates spaces where employees enjoy working. Layouts that incorporate natural lighting sources, rounded edges, and nontraditional collaborative workspaces create workplaces that employees want to come back to day after day. 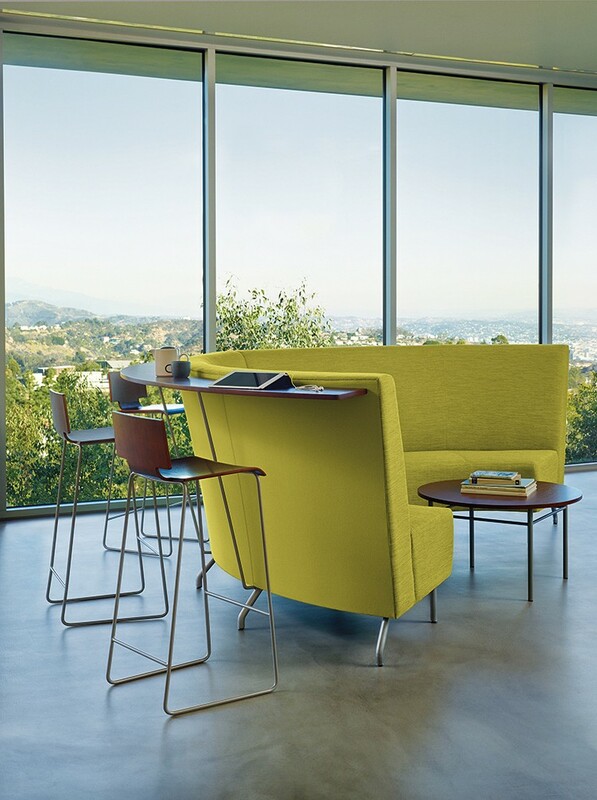 It’s no secret that sunlight boosts employee morale and brings unity and visual expansion to any interior space. Regardless the regional and seasonal availability of sunlight, maximizing the light you get from the sun not only makes employees happier and more productive, it has the added benefit of cutting down on electricity costs. 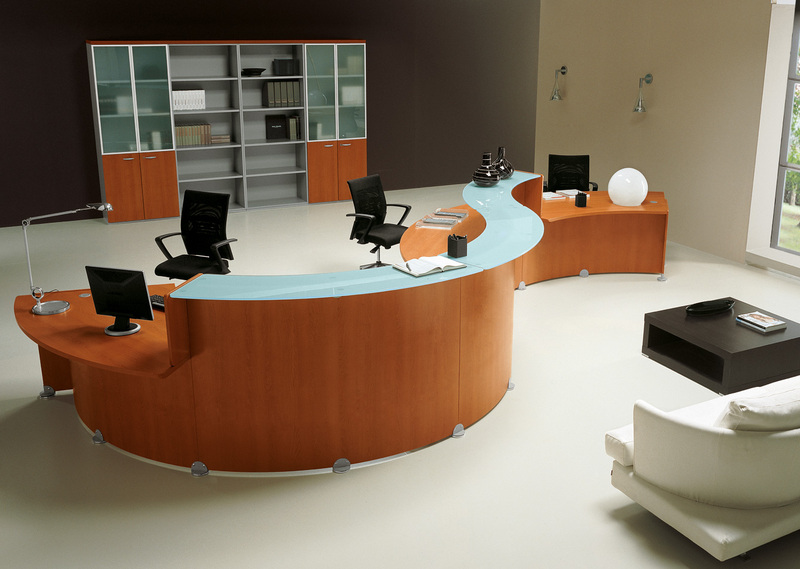 Even if you start only with a rounded reception desk, ditching the hard edges and boxy style of traditional office layouts can make your office feel more natural and streamlined. 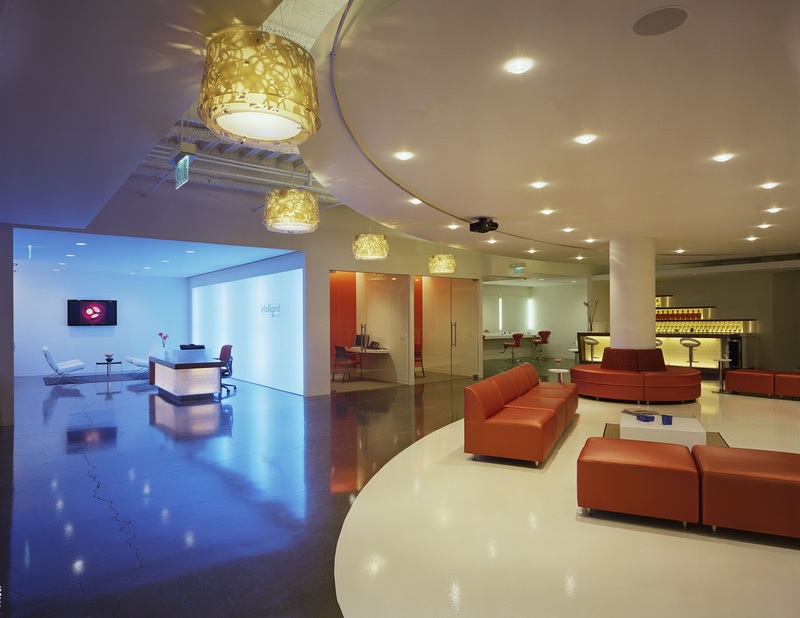 StrongProject offers a number of reception desks that do away with the rigid angles of more traditional reception desks. 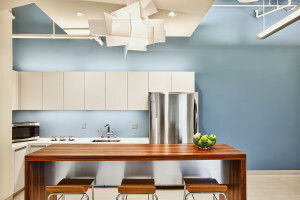 Nontraditional collaborative workspaces are the hottest trend in modern office layouts. 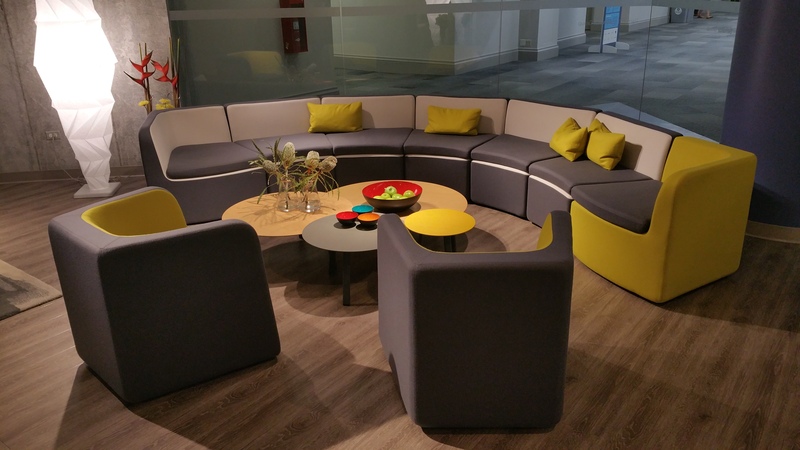 Whether it’s breaking the team out of the boardroom for a brainstorming session or turning a break room into a chat room, these workspaces open things up and really define modern office layouts. Want to make the switch? Contact us and see how we can help!